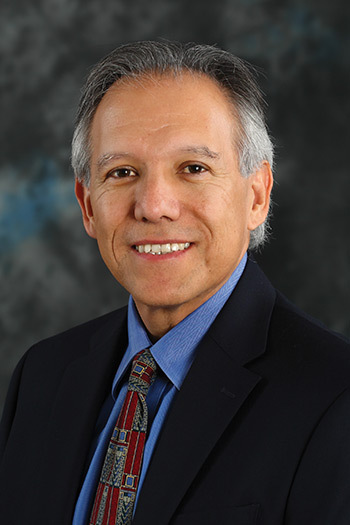 School of Natural Sciences Dean Juan Meza has been elected to the American Association for the Advancement of Science’s (AAAS) council, representing the Section on Mathematics. The association is an international nonprofit organization dedicated to advancing science for the benefit of all people, with one of its major goals being to communicate science to the public to convey its importance. Meza’s term begins in February and lasts three years. Meza’s responsibilities on the council — the policymaking body of AAAS — include electing fellows from among association members; reviewing programs of the association; establishing criteria for affiliation; and electing organizations as affiliates of AAAS. He was nominated to the council by a committee within the AAAS, an organization he has been a member of for the past 10 years. He served as the Mathematics Section chair, was on the Electorate Nominating Committee for the Mathematics Section and served on the Committee on Opportunities in Science. Meza is a computational and applied mathematician and earned his degrees from Rice University. He headed the Computational Research Division and the High Performance Computing Research department at Lawrence Berkeley National Laboratory, served on the faculty at Rice University and was a research engineer Exxon Production Research.